With a more and more important role that the digital mobile devices play in our daily life, a large number of people do business communication via mobile phones instead of PC because of their convenience. For example, people use smart phones more frequently than before because they can exchange information and document through text messages even when they are on the go. As we know, with wide using of the iPhone, the message box begin to contain some vital information and documents that people want to save. But it is hard to avoid accidents or something unexpected, for example, the iPhone 6 may be broken somehow or may not be able to receive messages any more because the storage space is limited and your messages box is full, or else, so it is important to backup the content of messages. 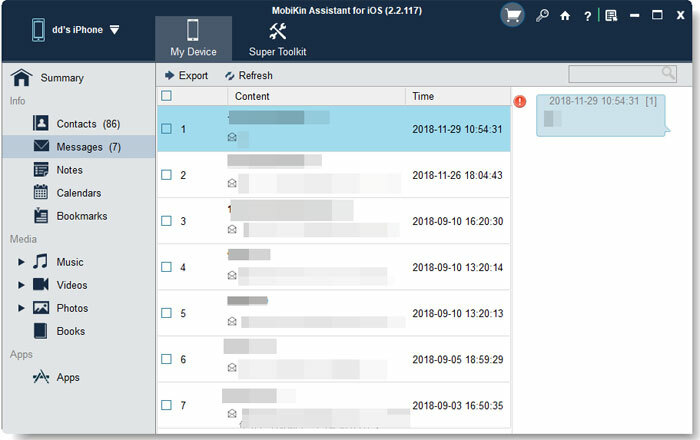 In this situation, people try to find methods to keep the SMS messages safe, and many people ask that how can I print messages from iPhone to paper so that the text can be saved for a long time? You may take a screen shot of the message then print the file through the photo app, but it is time-costing and inefficient. Here are some simple and useful tips for you to export the text and other information to your Mac or Windows computer for a long reservation. 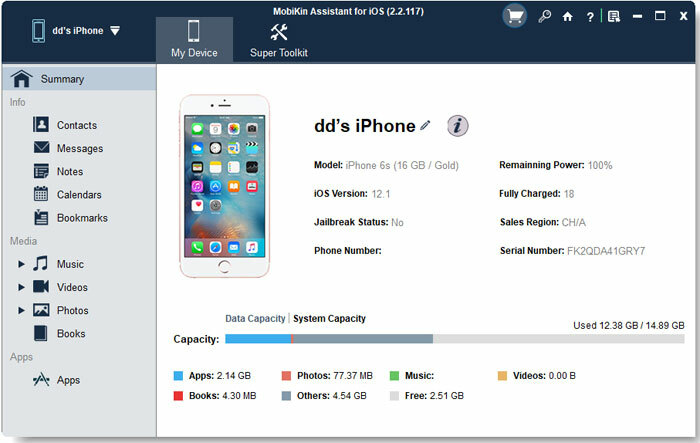 First of all, you just need to download the MobiKin Assistant for iOS (Windows) or MobiKin Assistant for iOS (Mac) which is a powerful and reliable software that modern people like to use, it is designed for iOS with high compatibility so that can be applied in many generations of iPhone, iPad and iPod. With the program, you will no longer worry about the printing of text messages in iPhone. Step 1. Download and install the software, link your iPhone to the computer. Tips: iTunes is required to be installed in your iphone but not need to be launched. Step3: Click the "Export" icon and transfer the text to the computer. You can find a button "Export" on the top of the window, click it and all the information you want to save will be copied and stored in the computer and the text should be saved as readable file format so that they can be read and printed. PS: Not only text messages, other data like contacts, photos, voice memos, etc. can also be transferred from your iPhone to the desktop PC easily with MobiKin Assistant for iOS. How to Backup iPhone Messages on Computer?